everything was there for our disposal and the apartments were clean and spacious. it was also family friendly as I have my two kids with me and has the privacy of our own home. Staff very friendly and helpful. Good location. Unit allocated to me is quiet. Although some cracks in the sink of bathroom but all is clean. Just around the corner from the German Club where we met with friends so location was great. The room was dated but big. It had everything we needed so all good. Even ice cubes! I mean a tray full of ready to use ice cubes plus more in the trays. So that was good too. Overall great value. Bed was comfortable. Plenty of room and spacious apartment. Close to shops, restaurants, coffee shops and river. 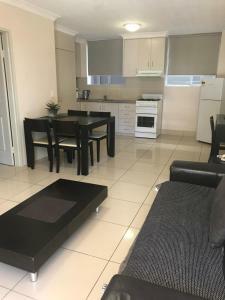 Kangaroo Point Holiday Apartments This rating is a reflection of how the property compares to the industry standard when it comes to price, facilities and services available. It's based on a self-evaluation by the property. Use this rating to help choose your stay! Located in Brisbane's lively Woolloongabba area, Kangaroo Point Holiday Apartments provides self-contained apartment accommodations, just 1.2 mi from Brisbane City. Guests can make use of two outdoor swimming pools or relax while using the complex's barbecue facilities. 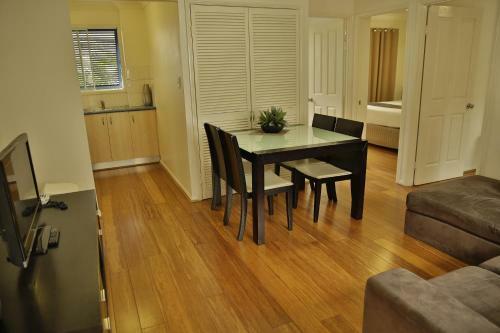 When would you like to stay at Kangaroo Point Holiday Apartments? 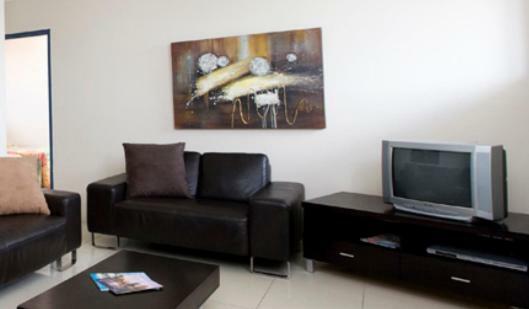 This 4-star air-conditioned apartment offers a kitchenette, a separate bathroom, a safety deposit box and cable TV. This air-conditioned apartment features a kitchenette, a separate bathroom, a safe and cable TV. 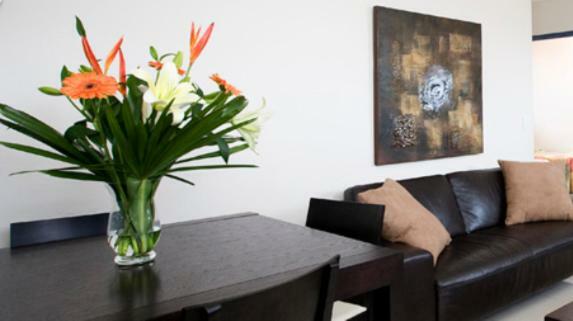 This self-contained apartment includes air conditioning, a DVD player and satellite TV. Guests can rent DVDs at the reception. 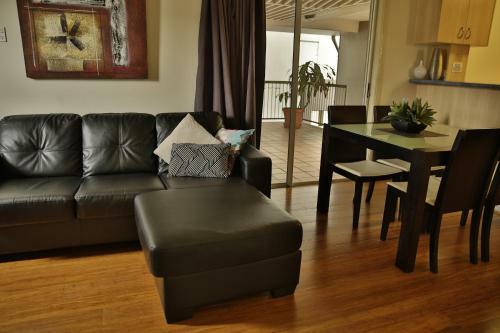 This apartment features a oven, kitchenware and seating area. You will find us across the road from The Gabba Cricket Ground. There is a Coles supermarket less than a 5 minute walk from our complex and many restaurants within walking distance. 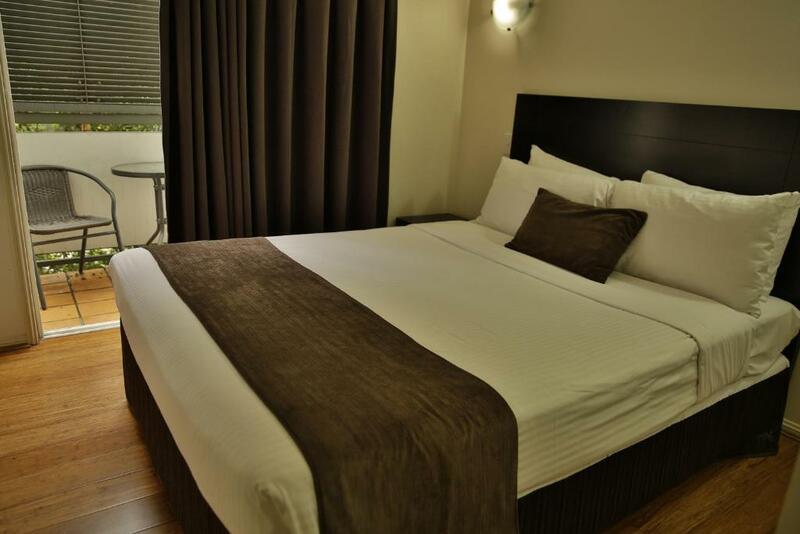 Southbank is a 5 minute drive away and approximately 15-20 minutes to walk, there you will find a great kids playground, a selection of amazing restaurants and a beautiful pool. Go for a stroll to the cliffs where you'll see a view of our beautiful city, there you will also find The Cliffs Café where you can enjoy a cup of coffee. Area Info – This neighborhood is a great choice for travelers interested in family-friendly trips, convenient public transportation and restaurants – Check location Great location - show map Guests loved walking around the neighborhood! 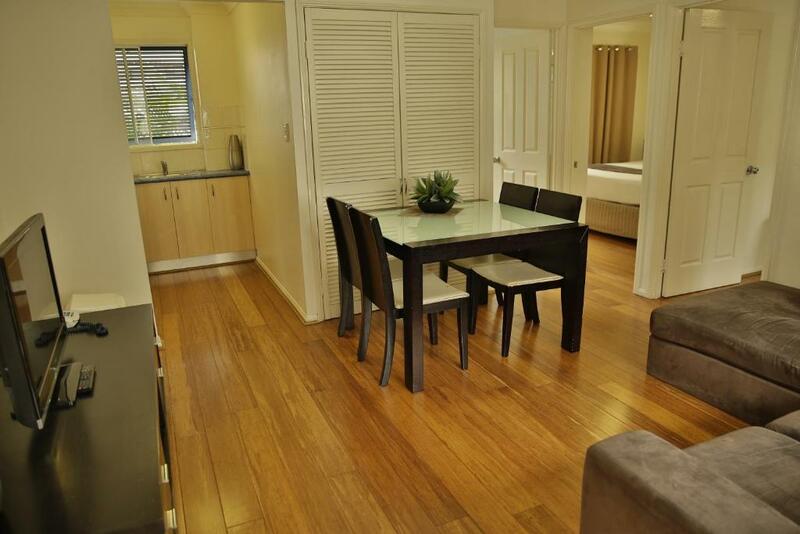 House Rules Kangaroo Point Holiday Apartments takes special requests – add in the next step! 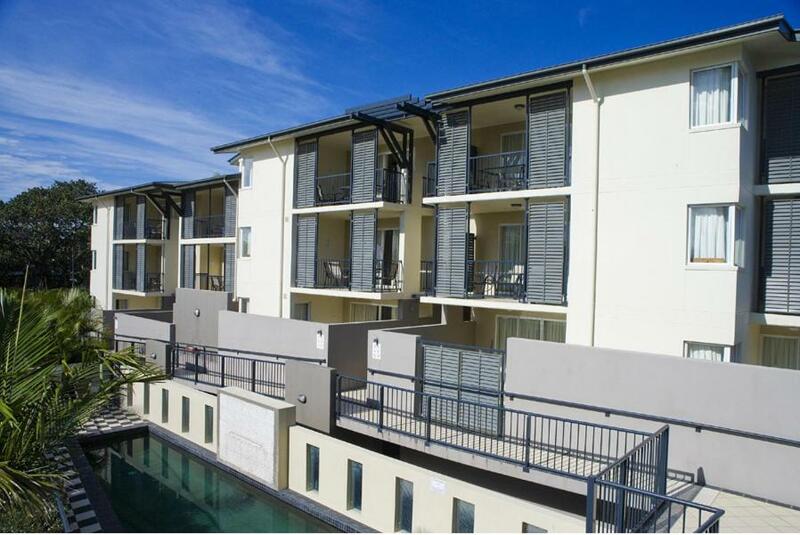 Kangaroo Point Holiday Apartments accepts these cards and reserves the right to temporarily hold an amount prior to arrival. There was a fair bit of noise below us in between the buildings on Sunday morning. Bathrooms had a trail of ants leading up to the kitchen. TV was not working and the bed sheets were damp. Very strange people seem to be residing at the motel and overall an unpleasant experience. There was a also constant smell of compost that made it difficult to open windows and enjoy the breeze. I wouldn’t recommend this place unless you are a backpacker. Bathroom was okay. Could have been cleaner. (My feeling only) I was on the top in a unit two flights up with bad legs. Should have asked. Free Wifi didn’t work and on enquiry at reception were told to phone the technician... unacceptable as I feel staff member should have sorted out the problem, consequently didn’t use Wifi. Key card didn’t work initially and had to return to reception To rectify the problem. WiFi in the room was extra. Should be included in price. Wifi reception wasn't great but that may have been the position of the apartment we were in. Tiled ramps are very slippery in wet (sadly it was raining when we arrived) so extra care required, particularly if you have an elderly person with you, as we did. Lighting in ramp area didn't appear to be working at night. Staff. Location. Despite being a little tired in appearance the apartment was spotlessly clean. Apartment was well set up in terms of things needed. On;y suggestion would be a teapot. The aircon worked well, but as it was in the lounge it didn't quite hit the mark in the bedroom. Ample undercover parking. Specious and well equipped kitchen.